In case you missed the news, Deadpool was an absolutely massive hit when it arrived in theaters earlier this year – and as a result, the sky is the limit where franchise opportunities are concerned. Deadpool 2 is already in development, and there’s already been talk of getting the Merc With The Mouth in an X-Force team-up movie. It’s a ride that T.J. Miller is excited to hop on, and he even has some excellent thoughts about a spin-off for his character, Weasel. Deadpool is not going anywhere anytime soon. I think there’s probably going to be three more installments, a Weasel spin off. 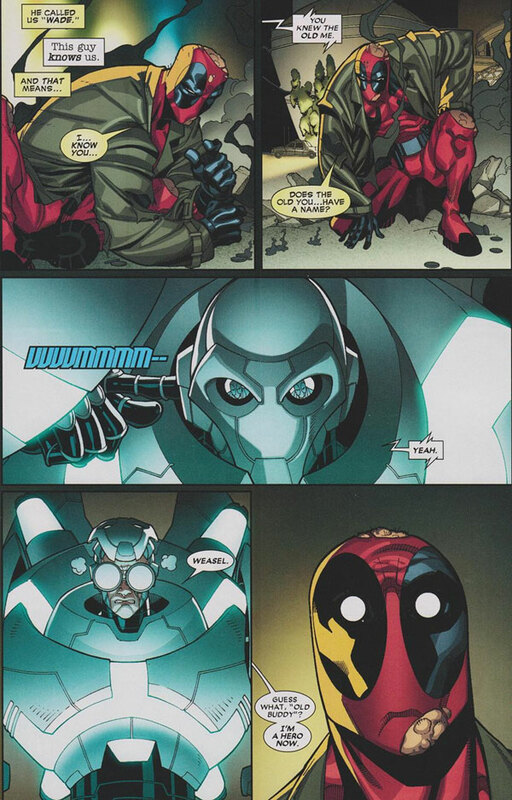 I’m contractually obliged to do the cameos in other X-Men universe stuff, so there’s plenty more Deadpool to come. I’m excited about the prospect of a Weasel spin-off, because he makes this super suit, that’s not great and it’s a superhero in Las Vegas protects casinos. I mean, it just, everything about it is perfect for me… What if the Iron Man suit was sort of budget, like he can’t fly, but he can hover three or four feet. Like the Deadpool movie, we would expect this spin-off to be a direct adaptation of the material from the comics, but there certainly is a lot of action and comedy to be mined out of a dummy like Weasel operating a supersuit and stopping crime on the Vegas strip. Right now, screenwriters Rhett Reese and Paul Wernick are working alongside director Tim Miller and star Ryan Reynolds to develop Deadpool 2, but the future beyond that for the red-and-black costumed mercenary is unclear. Hopefully we will hear more soon… but until then, stay tuned for more from our interview with T.J. Miller!